Ashley Madekwe shared a photo of herself wearing 7 For All Mankind on her Instagram over the weekend! The actress looked California-cool pairing her white tee and straw bag with the Edie Cropped Straight in Montreal ($219, www.7forallmankind.com). Here is a closer look at the jeans. 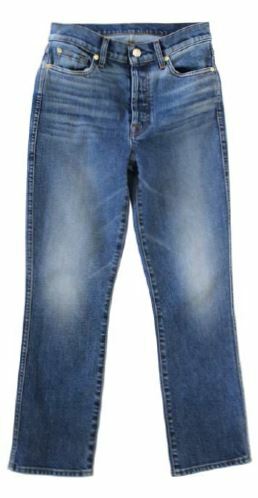 Shop for 7 For All Mankind designer jeans at their website or other fine retailers. You may also be interest in the following fashion blog posts.